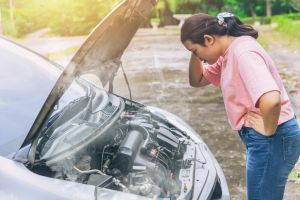 We’ve all felt it before – that sinking feeling in the pit of your stomach when you know something is not quite right with your car and you’re going to have to pay someone to repair it. This is especially true for all the owners of older cars out there. It’s a unique club characterised by the nagging feeling in the backs of our heads that something, someday, is going to go catastrophically wrong. No car is immune from an expensive fix – from the most reliable makes to the most exotic, old and new. Whether the issue was caused by bad luck, bad manufacturing, age or mileage, or our own bad driving or maintenance habits (though we wouldn’t want to admit it), we all want to know how much it’s going to cost us to fix. It’s good to know a ballpark figure before you head down to the mechanics. What are the most expensive car parts to replace? Our survey of motorists who had recently taken their vehicle for a service found that 58% had to pay for repairs they weren’t expecting, while 73% claimed they were wary of being ripped off – which is natural when you don’t know much about car parts and maintenance. To help with that, let’s go over some of the most expensive car parts and what they will likely cost you. A broken cylinder is a hallmark of continued neglect and ignoring previous warning signs like multiple misfires. But if you get regular services then you should never end up with cylinder failure. Scheduled maintenance ensures you won’t end up with an $8,000 (or greater) mechanic’s bill for repairing a cylinder. That’s right, the expenses for hybrid cars don’t stop once you fork out the cash to buy them. Parts aren’t readily available so they’re expensive, and you’ll have to wait for the part to be shipped in. One problem that is hard to detect is inverter failure, since the only warning sign is the “check engine” light. It doesn’t often happen, but when it does, a replacement costs between $4,000 and $7,000 depending on the car model. Lithium ion battery companies have experienced a boom since 2015, as Tesla and other electric car manufacturers ramped up their production. As technology develops, these batteries will get cheaper and cheaper, but for now they are very expensive. A lot of batteries cost around $150 per kWh and can easily skyrocket from there. Considering a Tesla Model S is equipped with an 85kWh battery, a replacement can be eye-wateringly expensive. 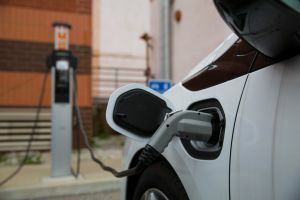 The good news though is that lithium ion batteries are reliable, and costs are likely to fall dramatically by the time you will need a replacement. Companies such as Tesla also come with fairly generous battery warranties and may replace at no charge. It’s unfortunate that transmission is one of the most important parts of your car, because it’s expensive to repair or replace. According to Auto Service Online, automatic transmission failures are often caused by fluid problems nine times out of 10. Transmission fluid doesn’t need to get changed as frequently as oil, so lots of car owners forget about it if they’re not getting regular services. You can also wear out the transmission in a manual by riding or dumping the clutch with hard gear changes – revheads be warned! Transmission repairs can cost around $1,000 to $2,000 and a replacement for the whole assembly costs up to $4,000. Unfortunately, due to the labour-intensiveness that goes into reconditioning a transmission, repair can also often be as expensive as replacing it entirely. A blown engine is about the worst news that your average car owner is likely to receive. Normal engine issues are the most common car problem reported to mechanics. But a ‘blown motor’ means the engine has suffered so much internal damage that it needs extensive repair or a full replacement. An engine replacement can cost between $1,000 and $4,000 depending on the type of engine. At this point, if your car is an older model it can often be more reasonable to sell or scrap rather than go down the rabbit hole of replacing the engine. The camshaft controls how your engine takes in air. It generally won’t break unless you neglect your servicing and oil changes and let grime and dirt build up on the valves. A replacement camshaft is highly labour-intensive, so it can cost between $1,500 and $3,000. Often, electrical components supporting the camshaft could also be the culprit. A camshaft position sensor can often wear out on older cars. This can be a fairly straightforward DIY job and if taken to the mechanics can be a cheaper option than a whole replacement. The head gasket is vital because it seals the engine cylinders and stops coolant and oil from leaking. When the head gasket blows, it takes a lot of stuff out with it. The gasket itself is cheap enough, but the labour is hard work. Repairs can cost around $1,000 to $2,000. You’re looking at an overheated engine, leaking coolant and oil, and white smoke from the exhaust if repairs aren’t undertaken. Certain models of cars are more prone to this than others, so it pays to do your research. The mass air flow (MAF) sensor measures the amount of air sent to the engine and decides how much fuel to send to the engine in response. Failure of the sensor typically means that regular upkeep wasn’t undertaken on air filters and other components. Replacement air filters cost around $25. Replacement MAF sensors can cost around $400. Symptoms of a bad MAF sensor include the engine being hard to turn over, hesitation or jerking during the acceleration and a lean or rich mixture at idle. Rich mixtures consume more fuel, while lean mixtures can burn more oil. 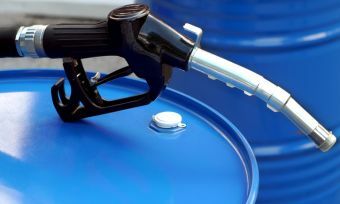 There is arguably nothing catastrophic about a rich mixture, except that it can worsen fuel economy and produce a pungent fuel smell. Remember the days when a copy of your car key would cost you $10 from the Mister Minit or the locksmith? Those glory days are over. A replacement electric car key has to be ordered, cut and coded, and it can cost anything from $250 to $750. And if you’ve lost all the keys to your car, then you need to create and code an entirely new set of keys and have the entire car computer reset to match. This can cost around $2,000 to $5,000 and can usually only be done at a dealership, instead of a third party. Perhaps the highest cost is that you’ll have to spend time off the road while you wait for it all to get done and deal with the frantic search of having lost your car keys. 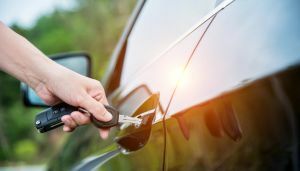 Used cars may be missing multiple sets of keys, so it pays to look for an example that comes with all its original keys so you’re not out of pocket. The air compressor is what separates high & low-pressure air for cooling down your car and engine. In Australia, air conditioning is pretty much a must-have and may even need to be used year-round in the warmer climates. A compressor replacement costs around $200 to $600 depending on your car model. If you also need Freon charging, that costs another $100. Over time, air conditioners can gradually lose their efficacy and a regas may be needed. Luckily this can be done for about $100. Replacing the cabin air filter can also yield benefits. This part can be purchased from parts retailers for around $30. An honourable mention goes to the seemingly innocent timing belt. Many car manufacturers require this unit to be replaced every 100,000km, and can cost anywhere from a couple hundred up to a couple thousand for luxury cars for both parts & labour. Though failures in their expected lifetime are rare, the importance of proper maintenance is critical here. A useful thing to identify is if your car has an interference or non-interference timing belt. Interference belts mean that if it snaps, you can wave goodbye to many other components in your car. In this case, it’s going to cost a lot more than to just replace the timing belt. Often an entire engine overhaul is necessary. Scheduled replacement of the timing belt can save you a lot of heartache in the long run. Also consider if your car has a timing chain. Timing chains don’t need to be replaced every set amount of kilometres like belts do, but they can stretch over time. Stretched timing chains can lead to engine misfires, metal shards in the oil and engine rattles. No matter if you have a timing belt or chain, it pays for a mechanic to have a look over it within the designated service schedule, usually 100,000km. Paying the few hundred for the service in the short term could save you thousands in the long term. In the market for Car Insurance? Below is a snapshot of featured 4 or 5 Star Rated policies on Canstar’s database, with a link to the providers’ website. The results are sorted by Star Rating (highest to lowest), and was formulated based on a male aged 25-29 in QLD without coverage for an extra driver under 25 years old. To see policies more relevant click below to view all Canstar rated Car Insurance products. See how much you could save with a tailor-made premium. *24/7 Roadside Assistance included with Comprehensive policies. 2017 Canstar Outstanding Value in Car Insurance, making your choice for car insurance even easier! Source: Canstar. By proceeding you agree to Canstar Blue referring you to Canstar’s website and accept that site’s terms and conditions. See the FSCG. This information is general and does not take into account your individual circumstances. The results above do not include all providers, and may not compare all features relevant to you. Consider seeking professional financial advice, and read the PDS before making a product purchase. See the Canstar Car Insurance Star Ratings Methodology. Canstar Blue may earn revenue from referrals to product providers from this table. Most car problems can be easily and cheaply fixed if they are detected as soon as possible. This means getting your car serviced regularly and doing whatever other maintenance and routine checks you can do yourself. 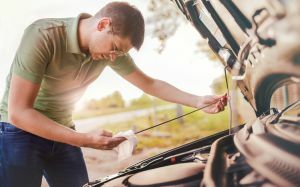 Unfortunately, more than half (55%) of Aussie motorists we surveyed about car servicing said they take as long as they can between services to save money. However, with a lot of things in the automotive world, prevention is the best cure and regular maintenance is the best way to prevent the financial catastrophe that comes when a major repair is needed. Check the air pressure in your tyres regularly and top up when necessary – this can be done at most service stations. Your recommended pressure is in your car manual. This also lets you check tread depth. Spare bulbs can be found at the auto store and while broken lights won’t stop you operating your car, it is a safety issue and can result in a fine from the police. A light may illuminate on your dash to signify which light is out. Some vehicles make it hard to access headlights without bumper removal – in this case, a trip to the mechanic may be easier. Check the garage floor if there are any leaks. The last thing you want is a power steering failure. Fluids can be topped up with the right fluid from the auto store. Consult your car’s manual for the correct type of fluid – it’s easy to get the wrong one! Red or pink usually signifies transmission or power steering fluid, while green usually signifies coolant. Brown usually means oil, while a bit of water is usually nothing to worry about. If you’re stranded on the side of the road, it can often be quicker to just replace your blown tyre instead of waiting for roadside assistance to come. While it’s harder to actually fix a puncture, using your spare can put you on the road much sooner. Often rolling your sleeves up and using elbow grease is all that’s needed. Of course, use safety precautions, try and wheel off to a safe part of the road shoulder and put your hazard lights on. If your check engine light has come on, it can be instinctive to go directly to the mechanic. However, purchasing an OBD2 scanner (if your car is manufactured after 1996) and plugging it into the port (usually in your driver footwell) can yield a lot of information about what needs to be done. Often it’s as simple as getting a little dirty and changing a sensor in the engine bay, which involves only a bit of effort and less than $100 for the part at the auto store. Retailers such as Super Cheap Auto often provide an engine diagnostics service for a small fee, but buying a basic OBD2 scanner can cost less than $200. Use non-genuine parts or hunt online for parts overseas, which can be much cheaper. Use any mechanic you like. Do your own basic maintenance like oil changes and brake pads, though the time cost and disposal of used parts can make it more convenient to just head to a mechanic. Even if your car is out of warranty, if you have a particularly old or exotic car, your dealership can still be a valuable resource for information. Run-of-the-mill mechanics might not be familiar with the particular quirks of your 1980 Ferrari Mondial, so it can still pay to head to a relevant dealership. When is it time to head to a mechanic? For more serious concerns, it’s best to consult your trusted local mechanic – for peace of mind at least. Car parts can be expensive but you can easily get more life out of them with regular maintenance. This starts with you at home with basic checks to identify problems before disaster strikes. 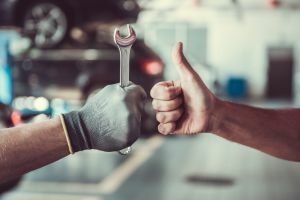 Having a little bit of car knowledge can go a long way, but if unconfident about any DIY tasks, it can save a lot of hassle and anxiety by just heading to the mechanic. Additionally, taking the time to learn the basics from someone more experienced can save some money in the long run. Taking methods to ensure problems are nipped in the bud can save you a lot of money and heartache in the long run.